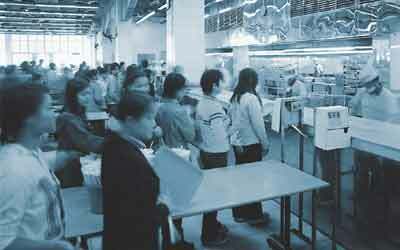 Administering an efficient canteen system at a manufacturing enterprise is not a simple proposition. Often the difficulty of tracking meal eligibility and slow, paper-based credit systems make for an administrative nightmare. The MCS system streamlines this entire process. Using individual employee badges and MCS terminals, your staff can quickly and efficiently deduct credit for their meals, and our MCS software automates the entire administrative process, making your ability to manage your canteen system much more flexible and dynamic.